I hate to break the news to you, but 2012 is nearly half over. Scary, isn’t it? Especially when you think back on all those New Year’s resolutions that you made not so long ago (feels like last week!). Not the tedious ones about regularly washing your car; this is about the ones in which you do all those things you love. How many have you ticked as complete? I’ve just got back from a month-long trip that took me quite far from home. It was amazing. Glorious. Everything I imagined, and more. When I’m on holiday, I view things in terms of experiences – every meal, every activity, every purchase, every picture taken, is something that I’m going to relive when I get back. I may not be returning for a while, so I want to make sure that I have a marvellous time in each place. The absolute best thing about holidays is that your only task is to enjoy each and every day. Which is, I think, one of the most valuable lessons travelling can bring – to live in the moment. If you have started crossing items off your 2012 list already – well done! If you haven’t – don’t worry, there’s still plenty of time. Bring out that list (if you haven’t got one, create one! ); which item do you want to cross off next? You see, it’s not just about taking holidays; life is about living in the moment. No matter where you are. Plan regular weekend day trips with your friends or family, or both!. Savour every bite of a mouth-watering gourmet meal at that fancy restaurant you didn’t think was in your price-range … then don’t feel guilty afterwards. Start (or finish) that novel you’ve been talking about for years. Go truffle hunting in Victoria. Book a trip to see all the World Heritage sites – or at least the ones in Australia (I hear Port Douglas, the overachiever, has two!). 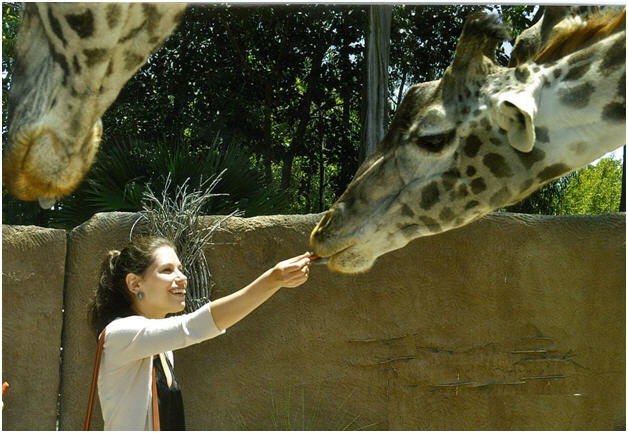 Go behind the scenes at a nearby zoo to get up close and personal with exotic animals. Become a photographer for a day and make the mundane transform into the mysterious and artsy. Because, at the end of the year, I want to look back and say that yes, actually, 2012 did fly past, but it was really quite amazing… Don’t you? I love this! It’s so important to enjoy day, because life’s too short to waste a moment. Thanks for your comment – very true! Great reminder to get back on track and get on with enjoying those moments you have. Thanks. Thanks Yvete, couldn’t agree more. Thank you Diane for your lovely comment – I’m glad you liked my post!